Hi sweet friends! Welcome back. I hope you all have had a great start to your week thus far! 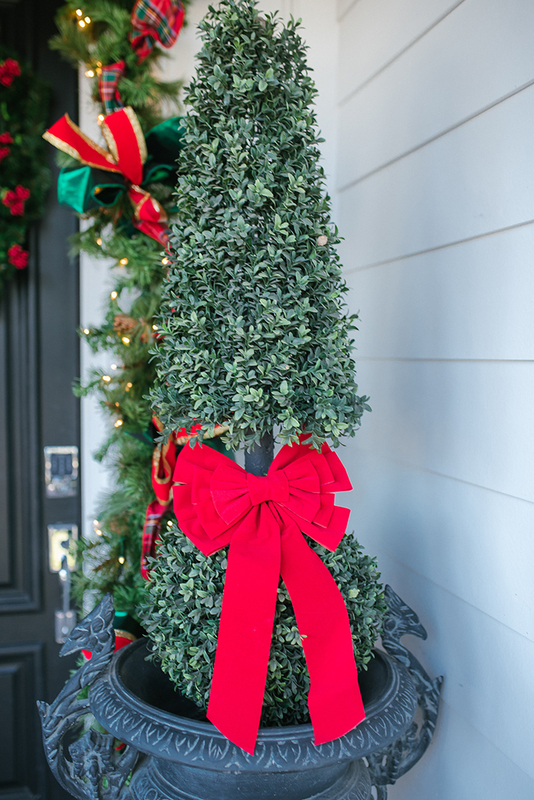 Today, I am so excited to be partnering up with Cornelius Nursery to bring you my "Front Porch Styling For The Holidays." By now, if you have learned anything about me, it's that I absolutely love design & decorating. 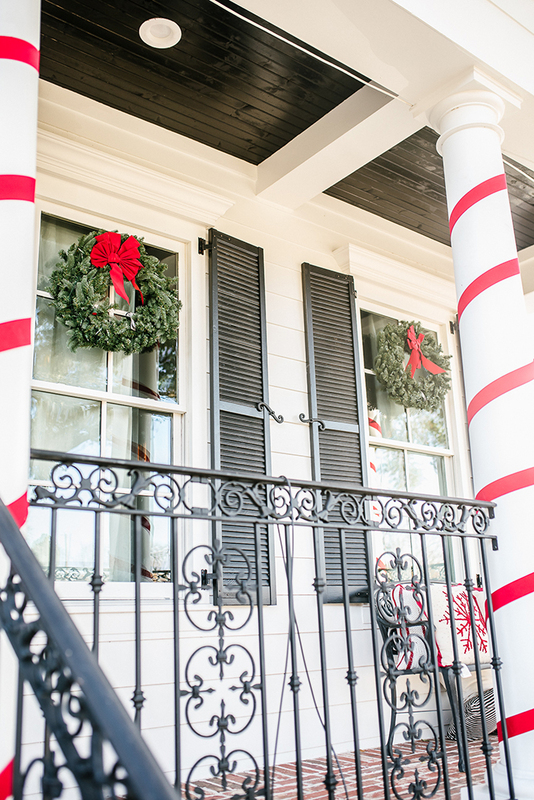 Our house is decorated inside & out according to the season. 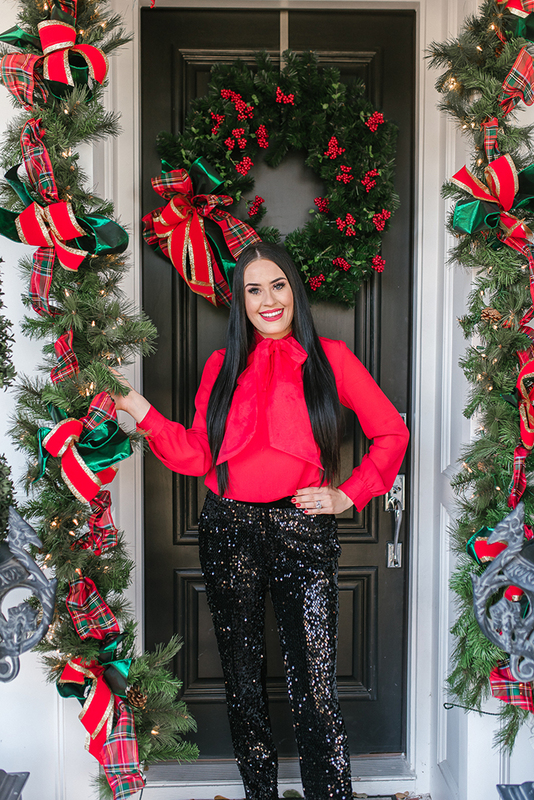 I love to entertain and host family and friends in our home, we host every holiday, Christmas being my absolute favorite! The inside decoration of the house matters, yes of course. 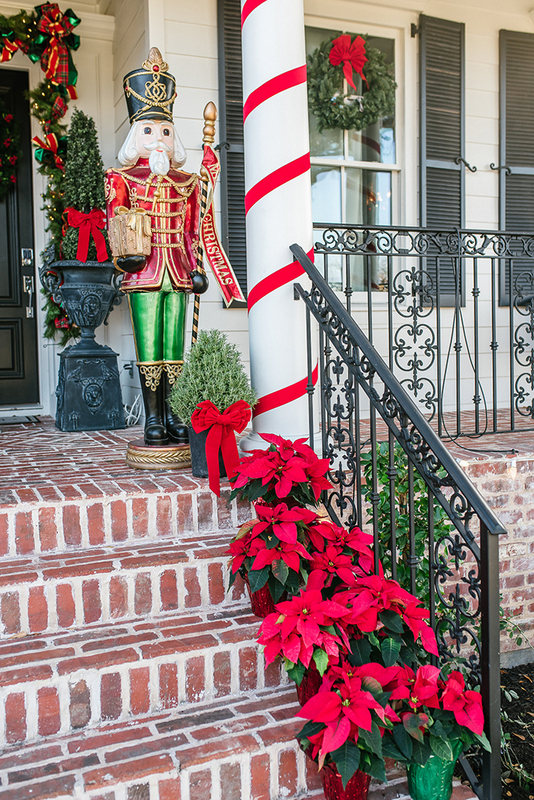 Although, I think the decorations on the outside of the house need to be just as good, if not better! 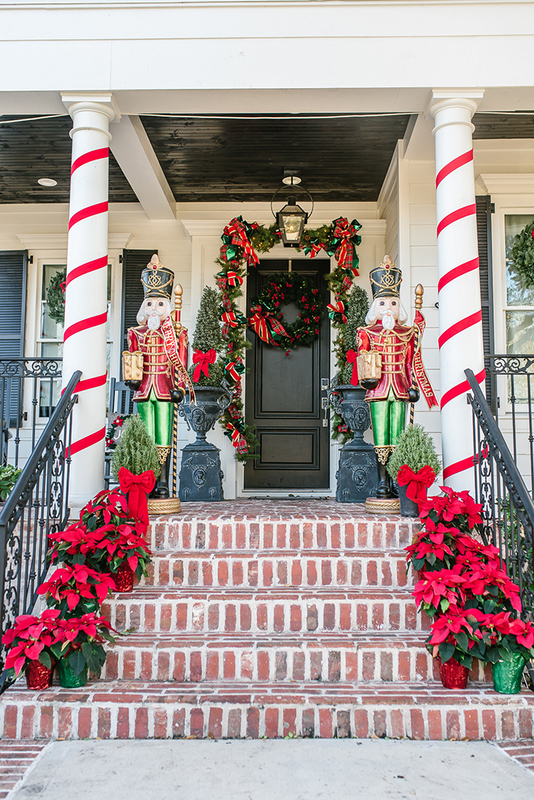 The outside of your house sets the tone and will get your guest feeling very festive and ready to jump right inside and celebrate! I can always count on Cornelius Nursery to have just what I need and they always exceed my expectations. I have been going to them for years, for everything from garden to decor. They have a beautiful nursery that has any plant you could ever want/imagine! Especially during the holidays, they are the place you want to go to pick out your pumpkins, mums, Christmas tree, ect. Inside, it is heaven YEAR ROUND. Although, during Christmas, it's a little more magical and feels like you're in a winter wonderland. They set up multiple displays around the store, so if you're indecisive or just don't know what you want your tree /front porch theme to be, I promise if you take a step inside the store you will come out with a million+ plans/ideas. 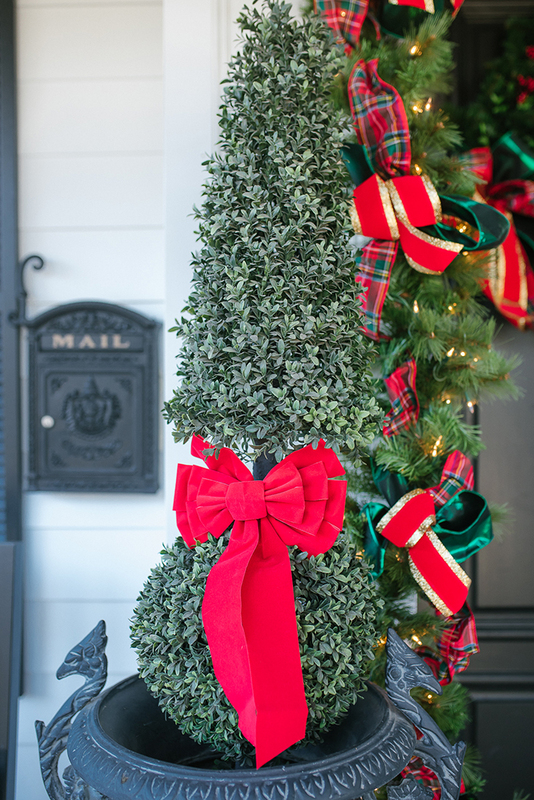 For my front porch, I love for it to include a pop of red. 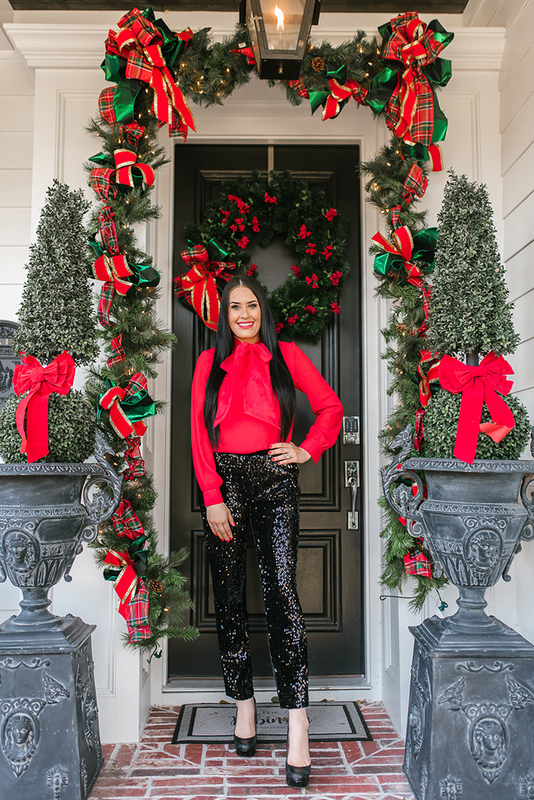 I think it's so festive for the holidays and just such a warm welcome as our guest pull up! 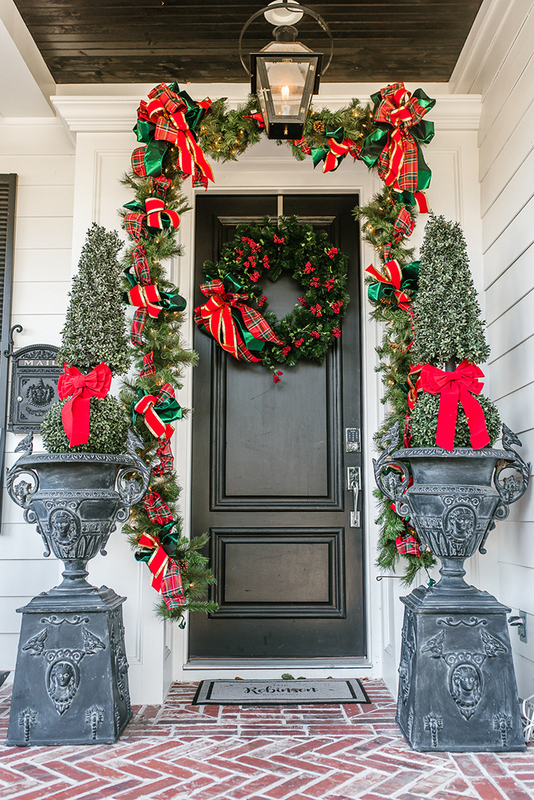 We wrap our columns every year with red velvet ribbon, which can easily be found at Cornelius Nursery. 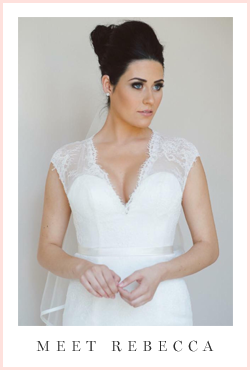 Their ribbon selection is incredible. 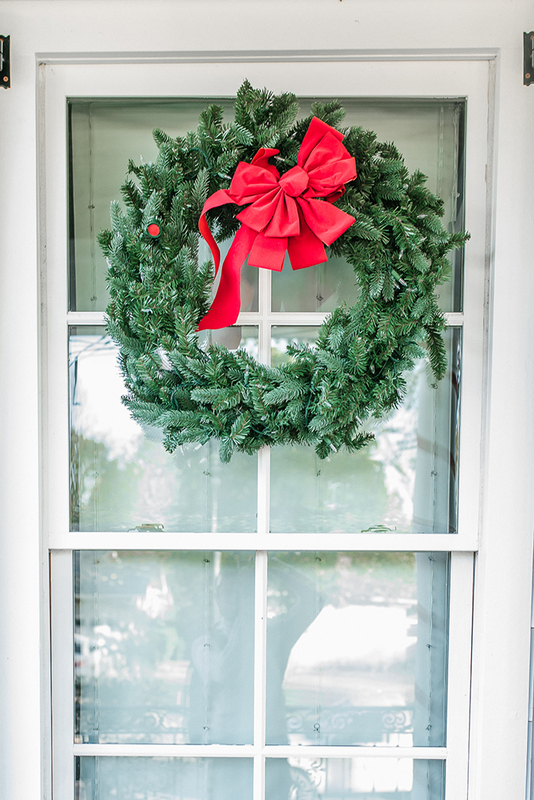 We also wrapped the wreath and lit front door garland from Cornelius all with their customized signature ribbon +bows. 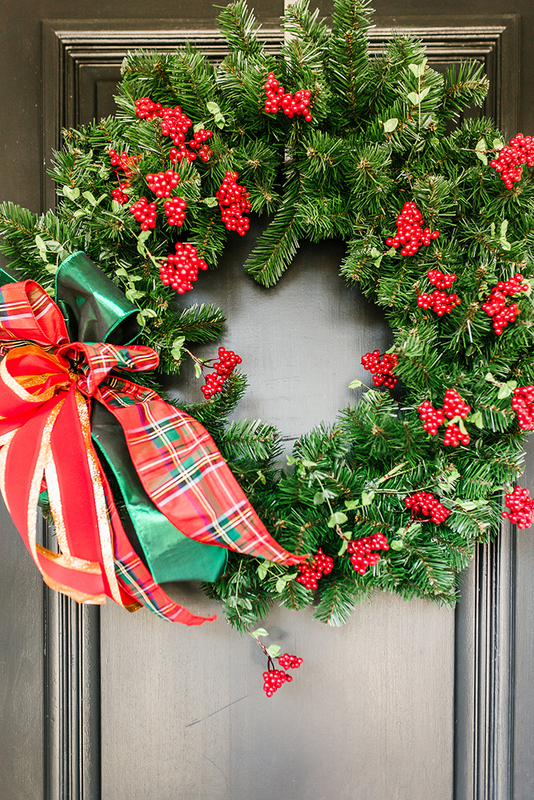 My color choices for this year were red, gold, green, and a touch of plaid! 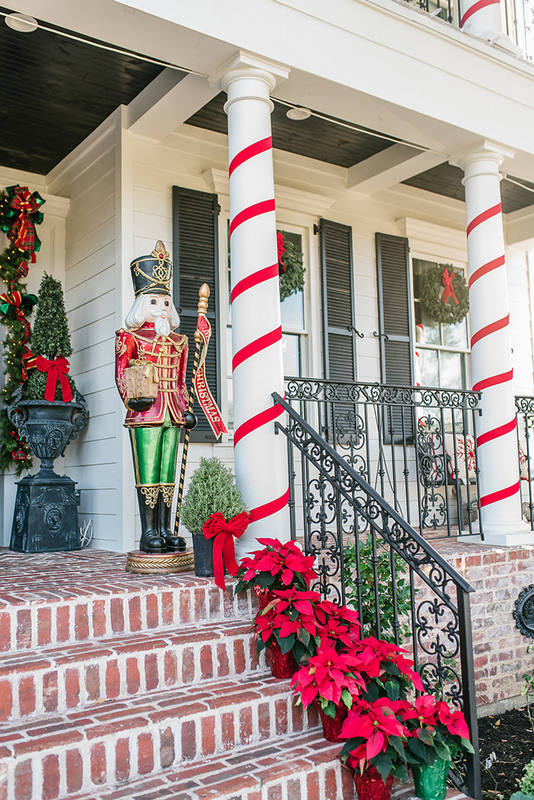 This combination is beyond gorgeous and I might just have to keep my front porch looking like this every single year!! 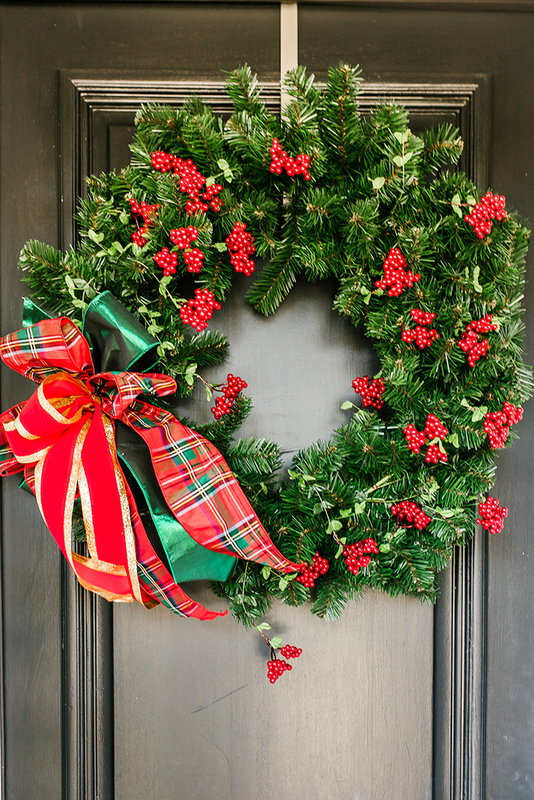 I have never added garland around our front door before, and I am impressed! It for sure makes a statement! It was very easy to connect and hang up! 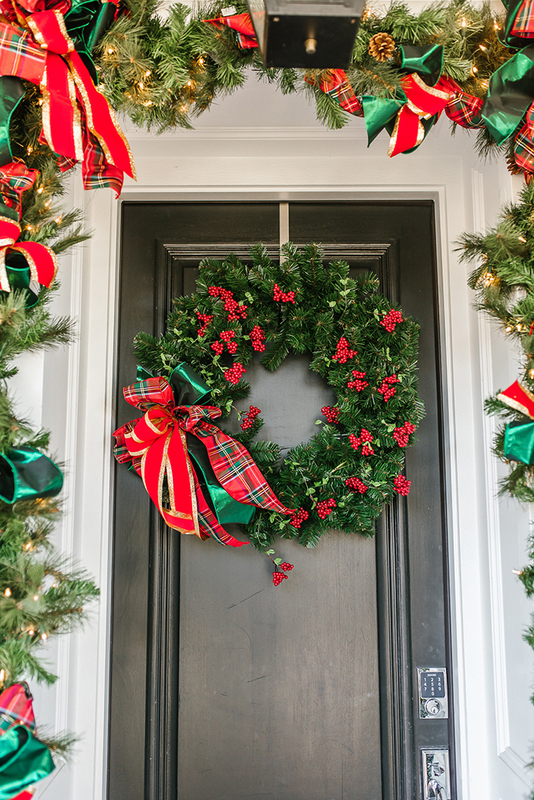 All you need is gorgeous garland from Cornelius and two command hooks! I also wanted to add some plants within my exterior porch decor! 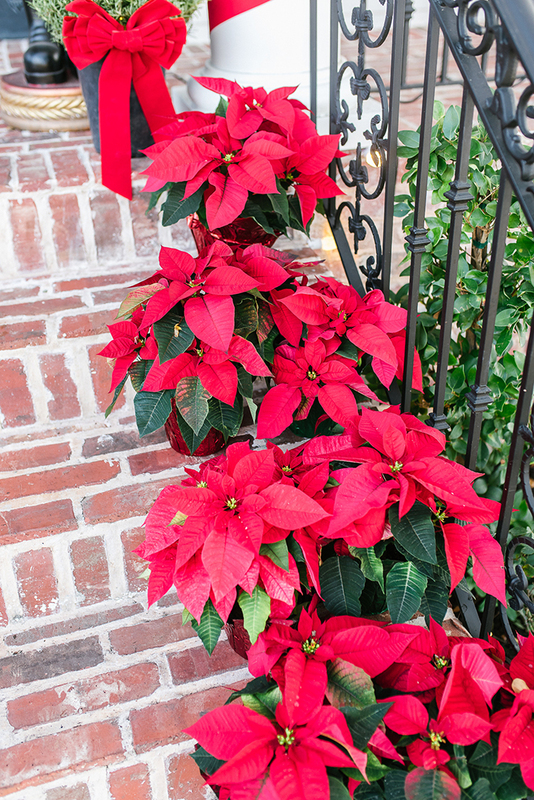 I found these breath taking poinsettias and Rosemary Cone Trees at Cornelius Nursery and added them onto my front porch steps. 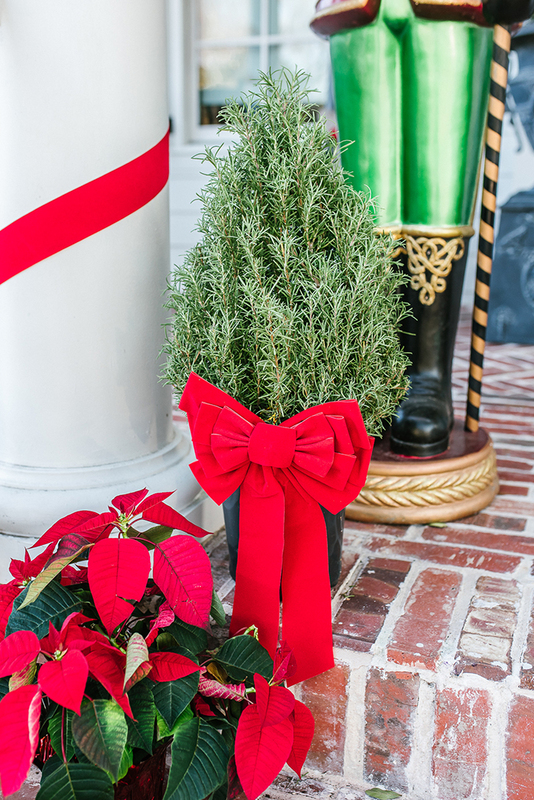 Also, the Rosemary Cone Trees give off an amazing/perfect scent for the holidays! 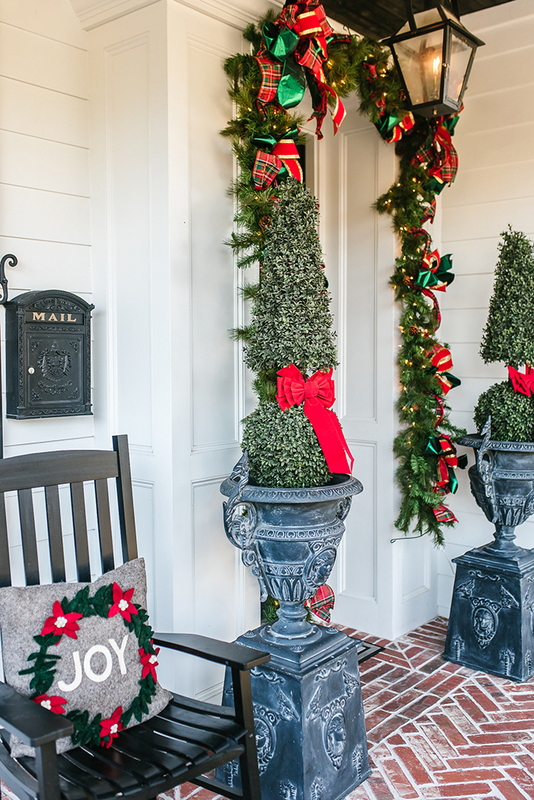 The wreath, lit garland, poinsettias, rosemary cone trees, and signature ribbon/bows are simple touches that add so much to my front porch! 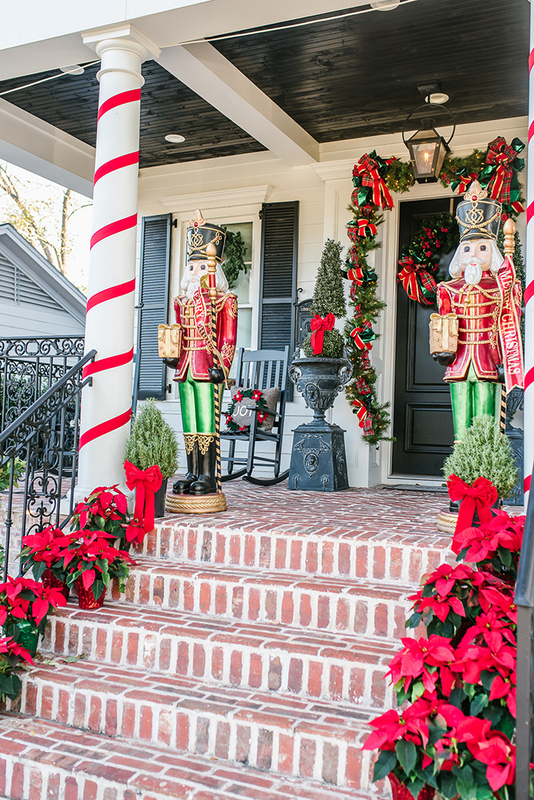 I am in love with the way our front porch looks. Once again, Cornelius Nursery exceeds my expectations! 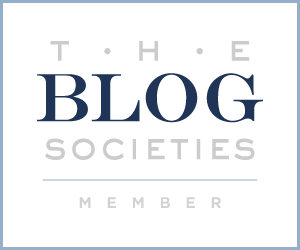 *Thank you to Cornelius Nursery l for sponsoring Today's post. All opinions are truly my own!